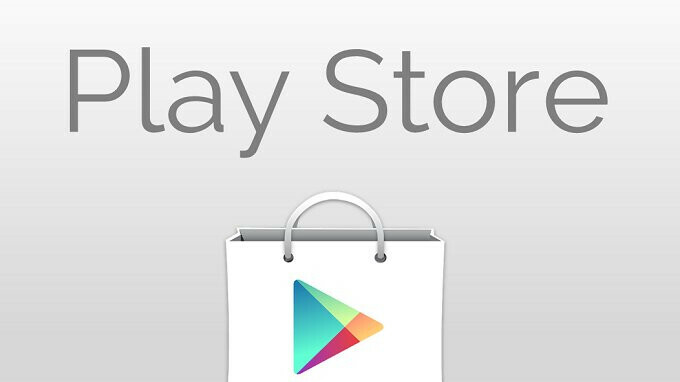 Google is testing a new way for the Google Play Store to show search results to its users. 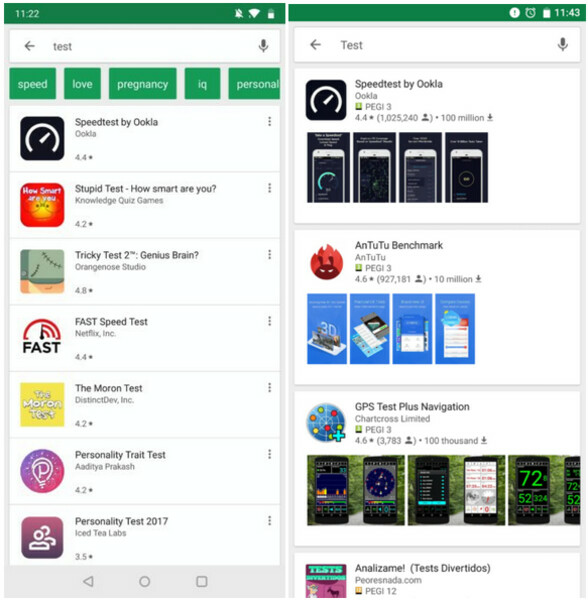 Instead of a list of apps that scrolls, you will see a card-like interface for each app that includes the screenshot images found on the actual Play Store listing. The cards also scroll. However, instead of seeing seven apps appear at a time, the larger size of the cards leave room for only 3.5 to be viewable at once. Also gone is the three dot menu to the right of each app listing. All that included was a link to install the app, or a link to add the app to you wishlist. Just because Google is testing this out, it doesn't mean that we will see this card interface rolled out to all users of the Google Play Store. It's possible that if Google receives enough positive feedback from those who get to test out the new search interface, we will see it implemented for all Android users. Frankly, we find it less crowded. You can also see at a glance the number of times an app has been downloaded. If you have an opinion on the new layout, let us know what you think by dropping your comments in the box below. Cant they add "sort by"? (i.e by rating, download number, trending, date added, date updated, etc) I know it will kill less popular apps, but it will help when people want to download some good/popular game/apps but didn't know the exact name of game/apps they're looking for. Yeah 100% agree, I wish we could sort apps via specific stats. Would really help. I'd almost always search for most downloaded. Anyone else feel like the Play store looks really dated? I hope Google to revamps it and makes it more lively. Also the three dot menu was awesome! Hopefully it's only missing because of the testing phase.